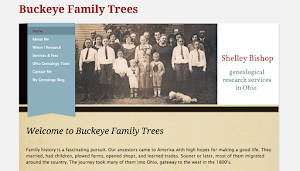 Do you have an male ancestor who was born between 1762-1799, and might have been living in Ohio by 1814? If so, you may want to check the Roster of Ohio Soldiers in the War of 1812 to see if he served in the Ohio Militia during that conflict. The Roster, compiled by the Adjutant General of Ohio in 1916, is a unique resource for identifying a potential War of 1812 soldier. Required by an act of the state’s General Assembly in 1915, the compilation includes the names of 1759 officers and 24,521 enlisted men. Militia companies in the War of 1812 were organized by the name of the captain or lieutenant, rather than by a regiment number (as was customary during the Civil War). Most militia units were raised within a particular county, so if you find your ancestor’s name, you might also discover what county he lived in. Or if you know the county but are dealing with a common name, you can see if there's a potential match. (1916; reprint, Westminster, Maryland: Heritage Books, 2007), p. 148. 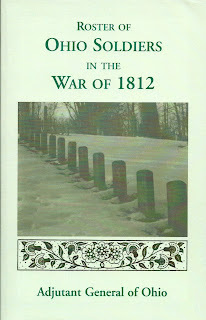 The Roster of Ohio Soldiers in the War of 1812 has been reprinted in handy paperback size by Heritage Books. I have it, and like being able to browse through it in print. 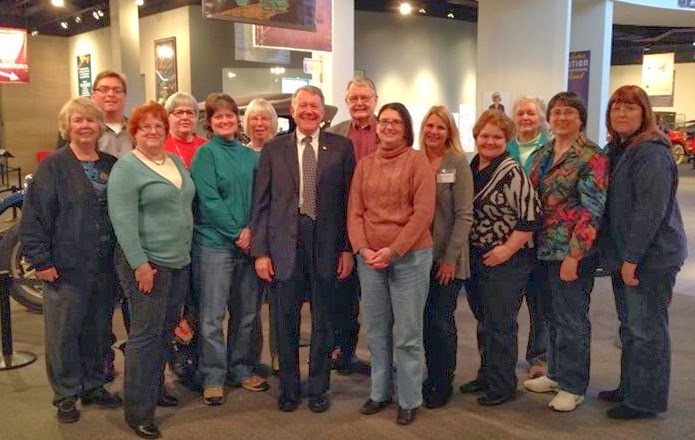 Most libraries with a large genealogical collection, including main county libraries in Ohio, should have it or the original hardback edition on their shelves. But for those with a subscription, it’s also available as a searchable database on Ancestry.com, with images of every page. It's nice that there are multiple ways to access the information. That kind of gets you thinking, doesn’t it? Especially since military records can be fantastic sources of information. Could you have an ancestor who served in the Ohio Militia from 1812-1814? If so, good luck with your search! 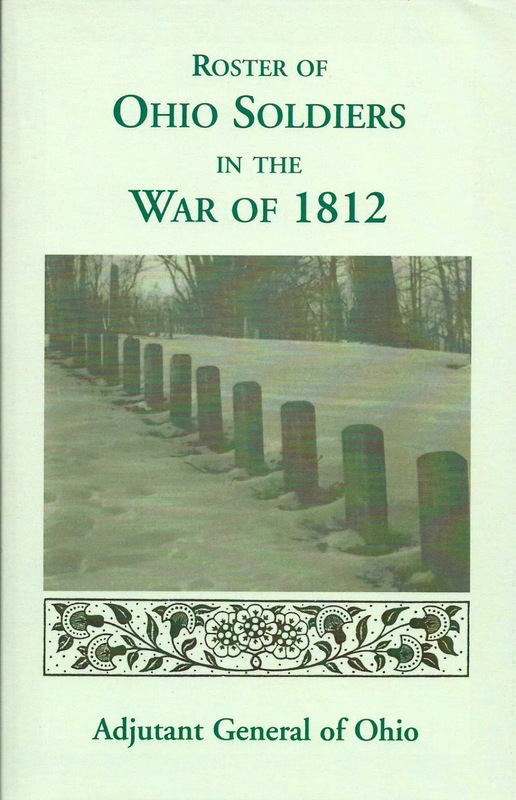 Thank you for posting resources about the War of 1812 -- which seems to be a war that many people forget about. Yet almost 25,000 men served, simply in Ohio! 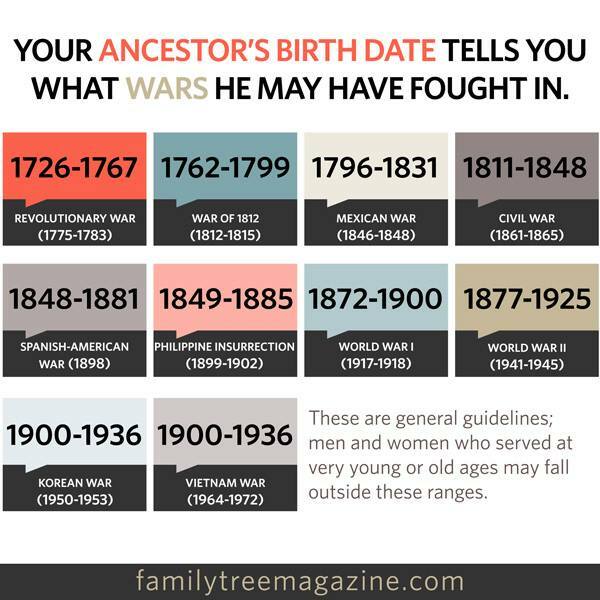 The chart from Family Tree Magazine is impressive and something I always wondered about--what age soldiers they took in which war. Right away I notice that there are no birth years without a war attached. An interesting and sad comment on humanity, but that's how it is. I wonder whether most states have such a roster.